The Svord Mini Peasant knife is simple and efficient, just what you need in a hard-working knife. It features a two-tone finished steel drop point blade to handle all your cutting chores. 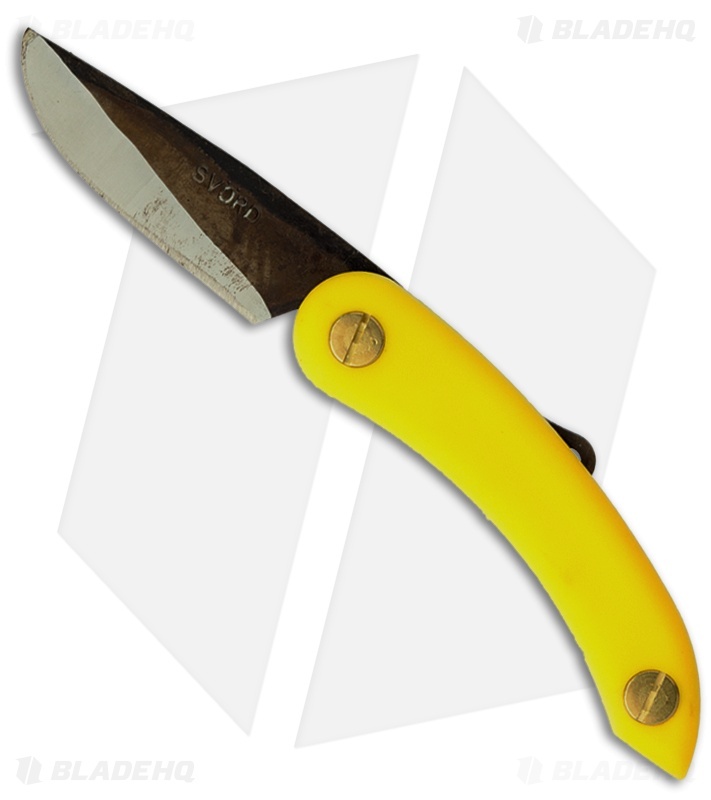 The blade features a lanyard hole on the tang and is non-locking. The handle is lightweight yellow polypropylene with a light texture. Super easy to sharpen and holds an edge suprisingly well. Would recommend! This knife should be in the pockets of everyone on this earth. This is a fantastically simple design with extraordinary execution. For knife nuts, this knife is extremely easy to disassemble and maintain, though you will be hard-pressed to find a need to do so. Working guys, like myself, will find that this knife is an absolute gem. The blade is extremely tough though could benefit from a patina (just disassemble the knife and place the blade in vinegar for around 30 minutes or until the blade turns a slight green) to extend its life. This is also a great knife for around the office. It's non-threatening and very lightweight. 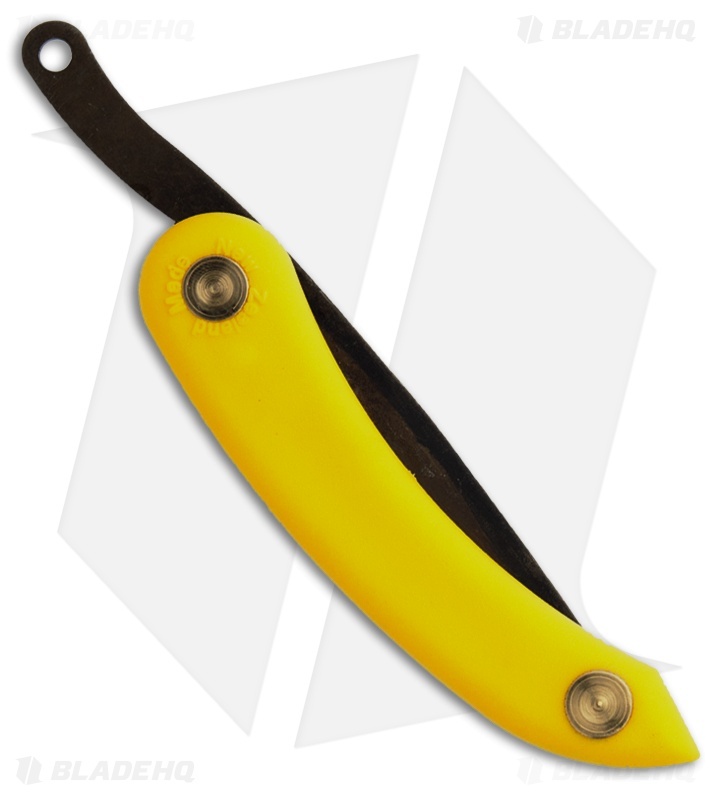 This is a knife that can slice through an apple, break down cardboard, and strip wire all in the same day all without needing to be sharpened. You need this knife. At just over ten bucks, it would be a crime to not own this knife. Stop reading this review and just buy it already!